Gel Hammer Toe Crutch® works in three ways. First it elevates to relieve pressure on sore toe tips by helping to straighten the toe. Second, it cushions the bottom of the toe, helping guide it straighter and more aligned to the correct placement of the toe. Third, it's also great for hammer toes or claw toes because it helps involve these toes in gait for improved biomechanics. Wide strap is comfortable to wear. 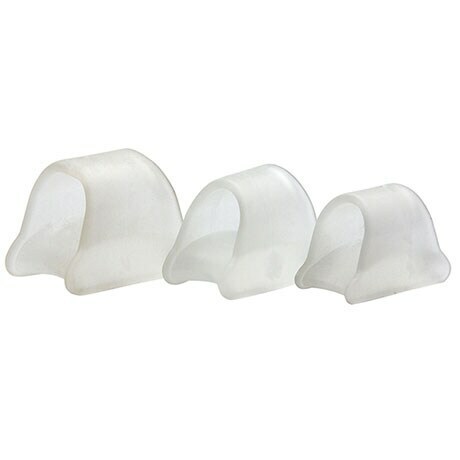 Soft gel cushions the bottom of the toe when the toe is still mobile enough to move straighter. Not a medical device. Provides relief from hammer toe pain. Medium (most middle toes). Washable and reusable.